Global Martial Arts’ is now offering Karate Classes for Kids in Vista, California and we’re glad you found us. As you already heard, Karate is an exciting activity for children where they learn discipline; this undoutebly helps boost their self-esteem. Sensei Benjamin Halcewicz offers kids karate in Vista. Their regimen includes teaching focus, eye-contact, patience and self-discipline. It is very important for children to also learn and apply physical fitness in Karate. Starting this technique at an early age will help them maintain a healthy lifestyle. This is the most rewarding element in Karate, it teaches children that activity will make them feel much better and make them more confident. As a parent, you know kids are happier when they feel better about themselves — and this also makes them healthier. For more information on Kids Karate in Vista, contact Global Martial Arts’ Karate Program at info@calikarate.com. Global Martial Arts is nothing like other martial arts classes you’ve experienced before! Our Kids Karate and Kids Krav Maga lessons are the perfect martial arts programs for parents seeking a fun, relaxed environment for their child. In Kids Karate, children will learn basic karate blocks, punches and kicks. The team will build obstacle courses to ensure kids can fill challenged to complete skill-based activities and games. 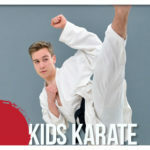 Our kids karate teams create learning opportunities that your child is looking for – FUN! FUN! FUN! Come find karate classes in vista that work around your schedule. With our expanded karate class schedule, you will find something to meet your needs every day!